All I Want For Christmas is.... More Space! With Christmas fast approaching, a guest bed is a must have for stopovers on the big day. Christmas is that special time of year for getting together with friends, family and loved ones to celebrate the magic that December brings. If you play host, there’s a certain amount of pressure that comes with creating the perfect Christmas for your guests. With many hosting considerations, providing space for guests over the festive period is a pressing point for many households. 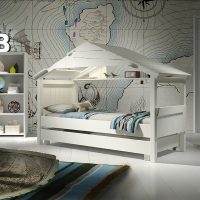 A guest bed is a unique bed that is often viewed as a single with pull out trundle option. The beauty of a guest bed is it can be used as a normal day to day bed, with a secondary bed available when needed. 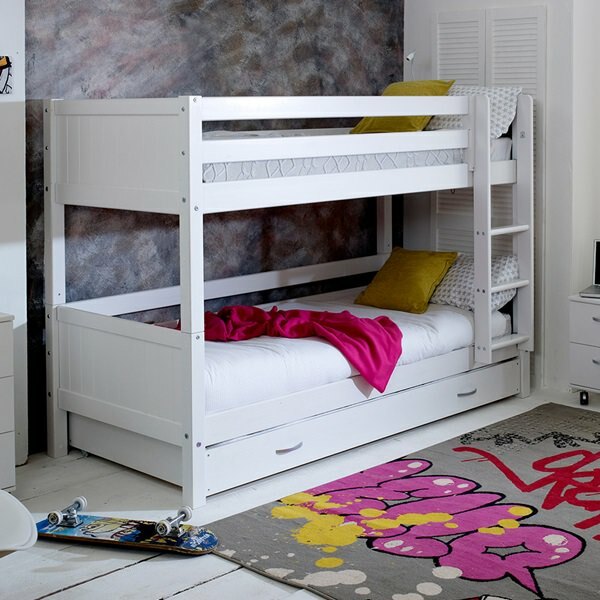 Take for example the wonderfully versatile contemporary Kids Locker Bed by Woood. This modern single bed encapsulates Danish furniture perfectly, with a compact frame that houses two single beds in one design. Family comes in all shapes and sizes and Christmas can be a lot to contend with when it comes to finding extra bed space for little ones. But it’s easier than you think to find a place for all the additional little members who may be gracing you with their adorable presence. Guest Beds are a must when it comes to that special time of year. 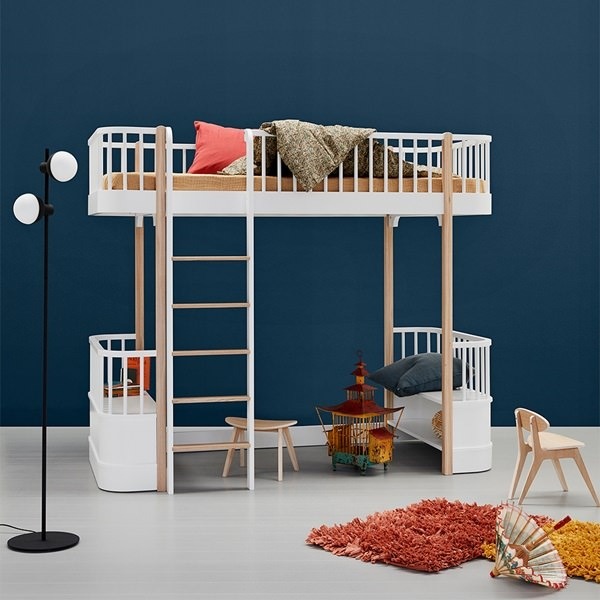 If you already have a few chicks in the nest, then the Flexa Nordic Kids House Bed is a wonderful bed with pull-out trundle option. 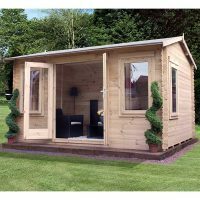 The white house frame will lend itself to the imagination of any kiddie who dreams big. Once additional mini guests arrive, it transforms into a wonderful bed made for two. Whether it’s Granny with her secret roast potato recipe or grandad with his perfect turkey carving skills, grandparents are often the lynchpin come Christmas day. So, if you have the parents or in-laws making their way over for Christmas, be sure to put them up like family royalty. The Oeuf Sparrow Single Bed with Trundle is the kind of guest bed parents love. Made from high quality solid birch and Baltic birch plywood, this modern bed provides a supportive frame for guests. 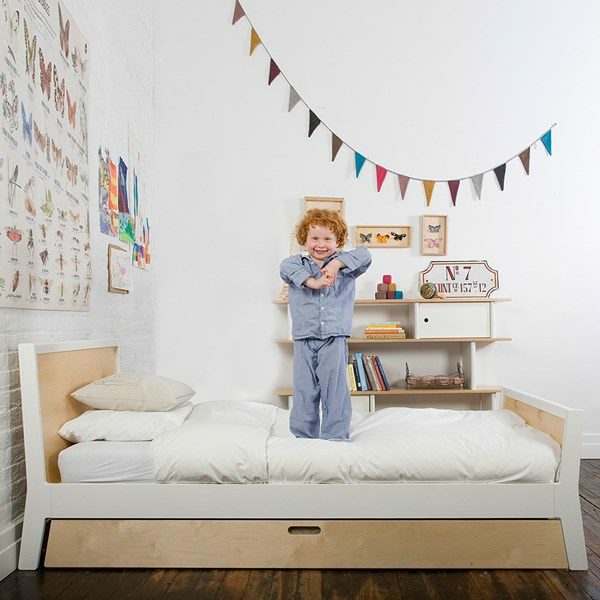 The Oeuf Sparrow Single Bed has a pull-out trundle to turn one single into two. Meaning the head of the family, can sleep soundly in their own bed compartments. They might have stolen your barbie growing up or filled your Christmas stocking with coal from the fire, but siblings hold a special place at the Christmas dinner table. Though it might be funny to crack out the airbed and get them back for the countless years of pranks, Christmas is all about letting bygones be bygones. Why not create some nostalgia with a bed frame that reminds them about growing up in a shared bedroom? The Pino High Sleeper with sofa bed features a bed on top and a pull out sofa bed underneath. Nothing brings back memories of the best sleepovers like a sofa bed! Once the festive day is through and evening drinks are out, many families like to invite friends’ around. If you like to have a few last-minute guests over for a sherry and mince pie, you will know that the festivities can go on until the wee small hours. So why not have a guest bed ready for those tipsy few who need a place to stay? The Dennis Day Bed is a fabulous addition to any home. 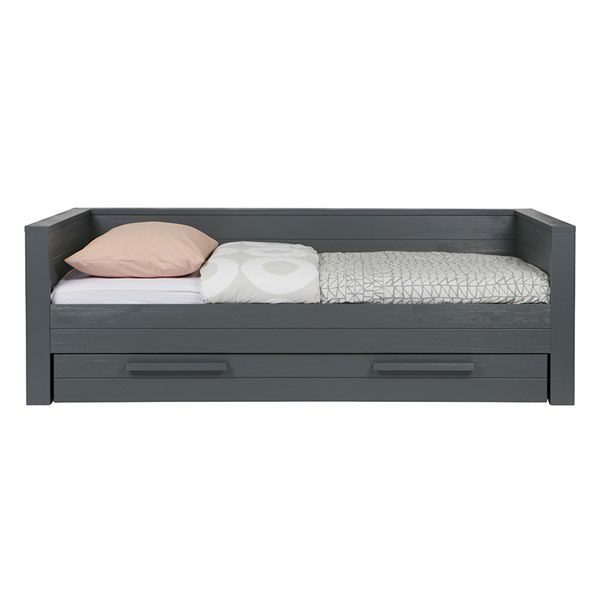 Available in sleek grey, this contemporary daybed can put up not just one friend but two. With a slide out trundle bed positioned in a drawer underneath the main frame, this stylish bed will have friends wanting to stay every Christmas. All of our guest beds come with Free Delivery* to UK Mainland. It’s worth bearing in mind that the last available date for delivery on selected guest beds is the 19th December, but to guarantee your bed arriving before Christmas it’s best to order now. Plus, some of our guest beds are made to order so please take note of this on the product page of your chosen bed. Finally, factor in assembly requirements for a Guest Bed so you’re not scrambling around come Christmas Eve, desperately trying to put up a bed before Aunt Mildred arrives. Talk to us or select our home assembly service at checkout! Here at Cuckooland, we’re always on hand to help you manage those special occasions. If you have any questions about our range of guest beds, simply call us on +44 (0) 1305 231231 or drop us a line at customerservice@cuckooland.com and we’ll gladly point you in the right direction.